The first thing that should strike us in the beatitudes is the repeated emphasis on blessedness, and the greatness of the promised rewards which bring that blessedness centred on knowing Yahweh as Father and God. We in the middle class west always need reminding that the very things which our culture tells us are to live for (desire, set our minds on, spend our time and money on) are never the things which the New Covenant in Christ describes as being a blessing. That is not because they are not blessings in some way, but rather they do not begin to compare, be in the same realm of blessing, as that which He promises us. The spoken Word of our Almighty speaks of the great and the eternal, the surpassing blessing which transcends all circumstances: of knowing Him. Marriage and having kids, for example, are two great “blessings”. But children will live and they will die; they will be good and they will be bad; they will love us and hate us; they will bring us great joy and untold sadness. Likewise marriage. What we mean by “children are a blessing” is that, on the whole, they are a blessing. In the end, all things considered, they were a great joy (to many people, through not all) because the times that they are a blessing far outweigh the times when they kill us slowly with their words and behaviour. They are great blessings on average over time, not blessings all the time. On top of all that, the blessings operate in the realm of the soul, not in the realm of the spirit. Human relationships at their best are intensely emotionally satisfying. That is a gift from God, part of the blessing of being human. As with the example of marriage, it is how we were designed – to need that satisfaction which comes from sharing intimacy and life with our lover, best friend, greatest hero, biggest fan and soul mate. But it remains a blessing in the realm of the soul. The chief blessing spoken of in the New Testament is that of knowing God Almighty through the indwelling presence of His Son in our hearts. That is a blessing without measure, independent of circumstance, eternal and infinitely greater than all the trials of this age. We must always remember that scripture is written for the purpose of and fulfilled in us KNOWING Him, personally, intimately, as Father and Almighty Creator God, and relating to people accordingly. Jesus came to show us the way to fellowship with Father. It is for the purpose of leading us to Father that He ministers to us today. And it is in deep fellowship with Him and a lifestyle that reflects that fellowship that the whole of scriptures purpose for this age is fulfilled. So scripture tells us that blessing – the greatest state of human happiness – comes from fellowship with God through right-standing with Him, per His covenant with us. That is the non-negotiable key ingredient for our lives. Blessed is the man who [is in close fellowship with God]… 3 He is like a tree planted by streams of water that yields its fruit in its season, and its leaf does not wither. In all that he does, he prospers. What then leads to such an eternal and transcendent state of blessing? We are told in the beatitudes in Ch5:3-10. But we cannot simply read each one on its own. There are four keys to properly understanding the beatitudes. When we are done, what we will see is that, as always, what leads to more and more of that state of blessedness is increasing revelation of the Messiah Jesus, so we can grow our faith in Him, so we can enter deeper into the reality of the New Covenant we are in by that increased faith, and so enter deeper into the reality of the Kingdom of God, which is the presence of the King in our hearts, by that increased faith. It is always in revelation of Jesus that we are made whole through deeper fellowship with Him as King reigning in our hearts by His Spirit. Back to those four keys to the beatitudes. The first key is hebrew poetic form. We cannot understand the beatitudes until we understand that Jesus is not describing random blessings for people, or a set of separate conditional statements of blessing, each of which stands alone (I.e. If I am merciful I will receive mercy, even if I don’t “meet the other conditions” and receive the other blessings). Instead, Jesus is teaching about a new Kingdom – His Kingdom being established on the earth – and also a new sort of person, in a new sort of relationship with God – one in which there is such great intimacy with Him that we “shall see God” with the eyes of our heart, be called sons of God, and be comforted by His presence. The “beatitudes” (Mt. 5:3-10) are written in a Hebraic poetry form called Synonymous Parallelism. In this form of poetry the same basic statement is made in parallel lines, using the same sentence structure, but with differing words. Each parallel line begins with: “Blessed are the…<personal characteristic>” and continues with “…for <reward>”. Furthermore, he opens and closes (v3 and v10) with the same “reward” (“for theirs is the kingdom of heaven”) to bring symmetry to the poem, to emphasise that it is to be understood as a unit, not a set of distinct conditional blessings. That is important to know because what it means is that the express intention of the Holy Spirit in writing this is to describe the different characteristics of a single group of people and the different facets of their single “reward” (I.e. not discrete characteristics of different people with different strengths and weaknesses and hence different blessings). He is describing here the people of the Messianic Kingdom and saying that we who enter into His Kingdom will be all of the following: “poor in spirit”, “mournful”, “meek”, “hungry and thirsty for righteousness”, “merciful”, “pure in heart”, “peacemakers”, persecuted for righteousness sake”, “reviled and persecuted and falsely accused”. And the reward of all these people may be summed up as “blessed”, because we shall: “inherit the kingdom of heaven”, ” be comforted”, “inherit the earth”, “be satisfied with righteousness”, “receive mercy”, “see God”, be called sons of God”, “inherit the Kingdom of heaven”. That leads directly to the second key, because without it there is a risk of legalism. Before going off and striving to be meek, we must understand this second key which is the shift from the old covenant to the new covenant we discussed in the meditation on Ch 5:1. Jesus’ objective was to replace the Old Covenant with the New Covenant, since entering the new covenant is the requirement to enter the Kingdom of God. This was more or less totally unexpected to the people of Israel. To them, the Law of Moses, which was part of the eternal Torah and hence also eternal, was the eternal covenant between Israel and God. What they failed to acknowledge is that Yahweh viewed their unfaithfulness to His covenant as breaking the covenant (Jer 31:32) thereby requiring the establishment of a new one, that He was not surprised by this since they were never able to fulfil the requirements of the covenant due to the wickedness of our fallen hearts, and that He had therefore prophesied the coming of a totally new covenant (Jer 31:31, Ezek 36) to replace the old. The shift is indicated in two ways. First, by Yeshua being the “prophet like Moses” promised by Yahweh (Deuteronomy 18:15-18) who brings the “new covenant” prophesied in Jer 31:31 and Ezek 36:22-37. How do we know that? Because in Hebrew thought, much is said without saying it but rather by prophetic action. Jesus’ prophetic action which illustrates He is “the prophet like unto Moses” was to go up the Mount (as Moses went up Mt Sinai), sit in the seat of authority (or the seat of Moses) to bring the people God’s Torah (as Moses brought the Mosaic Law from Mt Sinai) to the multitudes of God’s people waiting at the base of the Mount (as Israel waited at the base of Mt Sinai, for Moses). Second, as we will see in more detail later on, Jesus begins contrasting the Old Covenant terms (“you have heart it was said, thou shalt not murder”) with His own teaching of the new terms of the New Covenant, which are similar but operate on a totally different basis of inward holiness, rather than outward holiness (“but I say unto you, if any of you is angry at your brother without a cause…”). This again flows naturally into the third key (which we have already discussed at length). It is Jesus’ mission to bring the Kingdom of God to earth. We have seen that He came to bring not forgiveness, but a realm in which He reigns over our lives and in which righteous living, physical and emotional and spiritual wholeness (deliverance from demonic oppression) are the norm. Forgiveness through repentance and faith in Jesus is the gateway to enter the New Covenant, which is the condition of entering the Kingdom of God. But forgiveness is not the point; nor is the covenant the point; being in the Kingdom of God as His sons and His people is the point. We cannot understand the beatitudes until we understand that Jesus is not describing random blessings for people, or a set of conditional statements, each of which stands alone (I.e. If I am merciful I will receive mercy, even if I don’t “meet the other conditions”) but instead a new Kingdom – a new sort of person, in a new sort of relationship with Yahweh. The context in which they obeyed Him was not purely individual, but rather as a kingdom – a sovereign nation under the reign of a king who would enforce The Law (Torah, Mosaic Law) as the national rule – such that individuals obeying The Law obeyed both God and the King at the same time – total harmony between state law and personal law was the intent, under the reign of a righteous and god-fearing King. At the time of Jesus’ coming, the people were expecting the immanent coming of the Messiah because the prophet John the Baptist had been sent ahead to “prepare the way in the wilderness”, by preaching “The voice of one crying in the wilderness: ‘Prepare the way of the Lord; make his paths straight.’ ” Matt 3:3 (ESV), in fulfilment of Isaiah’s prophesy that such a one would precede the coming Messiah (Isaiah 40:1-5), and because of John’s very public and miraculous birth, the people knew the Spirit of God was on Him and that He was a prophet of God sent to prepare the way for the Messiah (Luke 1:8-23, 57-80). Many also would have interpreted the book of Daniel correctly, knowing therefore that it was in that very generation He would come, having been prophesied of very precisely by Daniel about 450 years prior. So the people Jesus was teaching had been prepared and would interpret all that Jesus said through these lenses and Jesus would be teaching toward these lenses, which included expectation of the coming of the Messianic Kingdom. However, the people were expecting at that time a physical kingdom on the physical earth in which there is a physical king bringing physical peace on the earth, with Israel as the head and not the tail, under the rule of the Messiah. And that would have been natural, since most prophecy does not make it possible to distinguish timeframes for the prophesied events, nor to discern whether those events will unfold at once, in stages, or over time. The Kingdom Jesus is teaching about is a Kingdom which will come in 2 phases. Phase 1, between His first and second coming, where He reigns in our hearts. Phase 2, at His second coming, where He eliminates the kingdom of darkness and establishes His Kingdom on the earth in outward fullness, which means the love, righteousness and joy in the worship and knowledge of God is universally present on the earth and manifest in all things. Alas for the Hebrews at the time, they missed it because they did not see that the Messiah spoken of in Dan 7:13-14 who would reign eternally, was the same Messiah spoken of in Daniel 9:24-27 Who would be “cut off and have nothing”, Who is also the Suffering Servant of Isa 53, and that He therefore must suffer and die before rising and reigning. Most prophecies about the Messiah, apart from Isa 53 and Daniel 9, generally prophesied a complex of characteristics by which they could spot His coming, some of which correspond to the current partial manifestation of the Kingdom of heaven and some to the future full manifestation of His Kingdom when all His enemies have been crushed forever; but that was not possible to discern ahead of time unless they saw the suffering servant of Isa 53 and Daniel 9:26 as the Messiah, which they did not. Hence they expected the full manifestation immediately, and hence they did not expect their Messiah to suffer and die, as Isaiah and Daniel tell us He will (Isa 53:1-10; Dan 9:26). But the main point is this: Jesus came to bring a Kingdom, and in the beatitudes He is describing the people who enter that Kingdom. We do not fulfil the requirements of the beatitudes to enter the Kingdom. We enter the Kingdom, get born again, and the consequence is that our “new man” naturally manifests the “Kingdom” characteristics described in the beatitudes. We begin to experience the truth of naturally manifesting the Sermon on the Mount lifestyles when we enter into the Kingdom about which that lifestyle speaks. Which leads us to key four. In light of the context in which Jesus was teaching, when He taught about the coming Kingdom of heaven, people were expecting this directly in relation to the coming of Messiah. These 2 were directly linked in their eyes because it was not possible to separate the two in Hebrew thought, since the prophets prophesied that the Messiah would bring the Kingdom of God (Is 9:1-7; Dan 2:44; Dan 7:13-14; Psalm 110). Therefore, by teaching the Kingdom of heaven, Jesus would be directly teaching about the coming of the “Messiah”. Why is that important? Because Jesus is directly, in addition to teaching about the Kingdom, putting Himself forward as the Messiah in whom we are to believe in order to enter the Kingdom of heaven. How does He do that? Well again, in Hebrew culture much is said without “saying” anything, but rather through prophetic action. Firstly, only the coming Messiah could teach with the authority to supercede the Torah (“The Law”) by which people lived, taking people from the “old covenant” (at that time, their only covenant) to a new covenant. Secondly, through the miracles He worked, which were prophesied of in the Old Testament as clear signs of the coming Messiah so that the people could identify Him (e.g. Isa 35:5-6). Thirdly, through his responses to questions about whether or not He was the Messiah (which would come later in His ministry, prominently Matt 26:64, in which He identifies Himself as the one spoken of by the prophet Daniel in Dan 7:13-14). Always, He is working to reveal Himself as Messiah through fulfilling all the Torah and the prophets taught about Him, so that they could believe in Him, so they could enter the New Covenant by faith in Him, so they could enter the Kingdom of God, so they could be His Kingdom people living His Kingdom lifestyle of righteousness. We begin to experience the truth of naturally manifesting the Sermon on the Mount lifestyles when we enter into the Kingdom about which that lifestyle speaks. We enter that Kingdom when we come under the King; and we come under the King when we enter covenant with Him through faith in Him as our Messiah. A kingdom always has 3 features: a king, a people who place themselves totally under the authority of the king, and a “constitution” between them which the people commit to “obey” in full, thereby honouring their commitment to be totally loyal to the king. The Kingdom of heaven is presently a kingdom in our hearts in which we commit to total faith in the power of His atoning blood to justify us and the power of His resurrected life to sanctify us, and ALSO commit to total loyalty and obedience to Jesus. 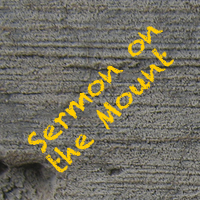 When we live in loyalty to the King, we will notice Him working the sermon on the mount lifestyle in us. And this is the scheme of God for all of us, always. He is always revealing more about the Messiah Jesus, so we can grow our faith in Him, so we can enter deeper into the reality of the New Covenant we are in by that increased faith, so enter deeper into the reality of the Kingdom of God in our hearts by that increased faith. It is as we have a great revelation of Jesus that we are made whole through deeper fellowship with Him as King reigning in our hearts by His Spirit. As we have a greater and greater revelation of Jesus as the Eternal Messiah, the Great High Priest of this New Covenant and the Great and Almighty Creator always working with all might to fulfil all righteousness in our hearts through our faith, we will become increasingly “poor in spirit”, “mournful”, “meek”, “hungry and thirsty for righteousness”, “merciful”, “pure in heart”, “peacemakers”, persecuted for righteousness sake”, “reviled and persecuted and falsely accused”. But as we do, we will also become increasingly blessed, because we will increasingly “inherit the kingdom of heaven”, ” be comforted”, “inherit the earth”, “be satisfied with righteousness”, “receive mercy”, “see God” and live in the reality of being “sons of God”. And as these things happen, we will walk in greater physical, emotional, and spiritual healing. So in all, it is revelation of Jesus we need. Revelation of the glory of His Being and of His work as Saviour, High Priest, and King. For this reason, because I have heard of your faith in the Lord Jesus and your love toward all the saints, 16 I do not cease to give thanks for you, remembering you in my prayers, 17 that the God of our Lord Jesus Christ, the Father of glory, may give you a spirit of wisdom and of revelation in the knowledge of him, 18 having the eyes of your hearts enlightened, that you may know what is the hope to which he has called you, what are the riches of his glorious inheritance in the saints, 19 and what is the immeasurable greatness of his power toward us who believe, according to the working of his great might 20 that he worked in Christ when he raised him from the dead and seated him at his right hand in the heavenly places, 21 far above all rule and authority and power and dominion, and above every name that is named, not only in this age but also in the one to come. 22 And he put all things under his feet and gave him as head over all things to the church, 23 which is his body, the fullness of him who fills all in all.